Social Media monitoring has now become essential for every individual who refers to themselves as a recruiter or Sourcer. The concept of Social Media Monitoring has recently caught up with the current trends due to the realisation of its effectiveness in almost all aspects of a successfully run business. So if you’re wondering what these “Insights in to Social Media Monitoring” are then you’ll be glad to know that this is exactly what will be covered as you move forward. These are the things that you should be focused on while monitoring either yours or the company’s page. So let’s begin with the basics. Well individual opinions matter a lot, so check if the opinions mentioned are positive or negative. If negative, you need to check if it is following a certain pattern. If that is the case then you need to identify all the possible reasons for the case. Even paying attention to the feedback given by customers about your product or services and the feedback floating around Twitter too can give you information that you wouldn’t come across otherwise. Even the Frequently Asked Questions (FAQs) can help a great deal as these common questions is what your consumers are looking for answers to. So you can use this opportunity to create a piece of content that helps answer all these queries. By keeping track of who’s linking to you, helps so that you can link back to them. Remember that social media is all about linking and connecting to more individuals to expand and build your connections. Simply because you need to build your brand up if you are seeking individuals to join your firm. Remember that the language used is simple and easy to understand by the masses in general. So it has to be precise and to the point as far as possible because you want your potential customers or in this case your recruits to understand full well about the company they are hoping to work for. Another aspect that plays a role is if your company has information in different languages make sure that it is appropriately and correctly translated. You don’t want to miss guide your visitors. If most of your customers are complaining of the same problems with your product, you can utilise this opportunity to fix the problems and let your customers know that you have resolved the issue. Your audience is likely to respond to you if they know that their issues have been taken in to consideration and not fallen onto deaf ears. This needs to be rectified at the earliest, as this will boost your response rate. Apart from the language used you also need to check if there are repeated topics, because this will give you insights into the common and recurring topics that most people are interested in. So you know what interest’s your audience hence you can put in measures in place that keeps them glued and wanting for more, thus they are engaged. This is supposed to be your main goal. These are but a few that I’ve come across, so if in case you know of a few more or are aware of some that I haven’t yet mentioned and that are part of the points discussed, then you can always mention them via our comments section. It is designed just for that, so make sure that you use it and helps us improve and update the information that we already have. There we go yet another insightful Chat with a lot of take a ways. As always we’ve been hosting WhatsApp Group Chats in 6 different cities namely Bangalore, Hyderabad, Chennai, Delhi, Mumbai and Pune. These chats help you interact with influential people where you gain solutions to issues and valuable insights. If you’re not part of either one of these Chats, you have no idea what you’re missing. Nevertheless being a Part of Sourcing Adda (@sourcingadda) does have its advantages you get to know what went on during the discussions and even stay updated with the current happenings. 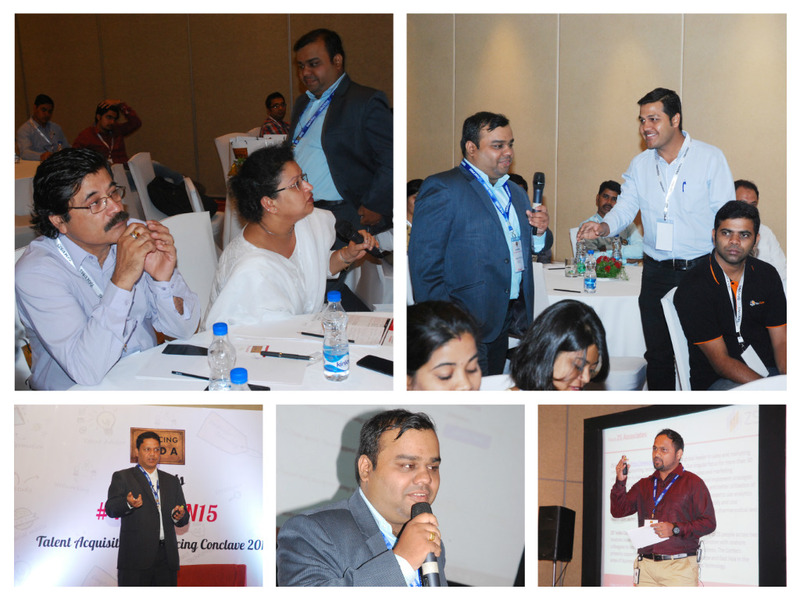 Therefore here’s what was discussed amongst Talent Acquisition Professionals on the Tips to Engage Passive Candidates… Well there you have it, everything that was discussed. Now wasn’t that refreshing from a mundane day. Tell me how many of you thought of these aspects to win more Passive candidates? And wasn’t it great that you found solutions to your problems in the process. Doesn’t that make a difference and lighten the load a bit. Do you have any pointers to add? Do tell. A Standee with the statement “One thing you learnt today!! !” where all the delegates or participants had to write about what they learnt. The winners of the activities would be announced at the end of the event. When Tweeting the audience, participants including speakers were requested to use the hash tag “# TASCON 15” and the activities took off with Yusuf clicking a Selfie himself. SourcePRO had a treat of its own to offer which was highlighted when Angeline Peters addressed the crowd during the opening session. 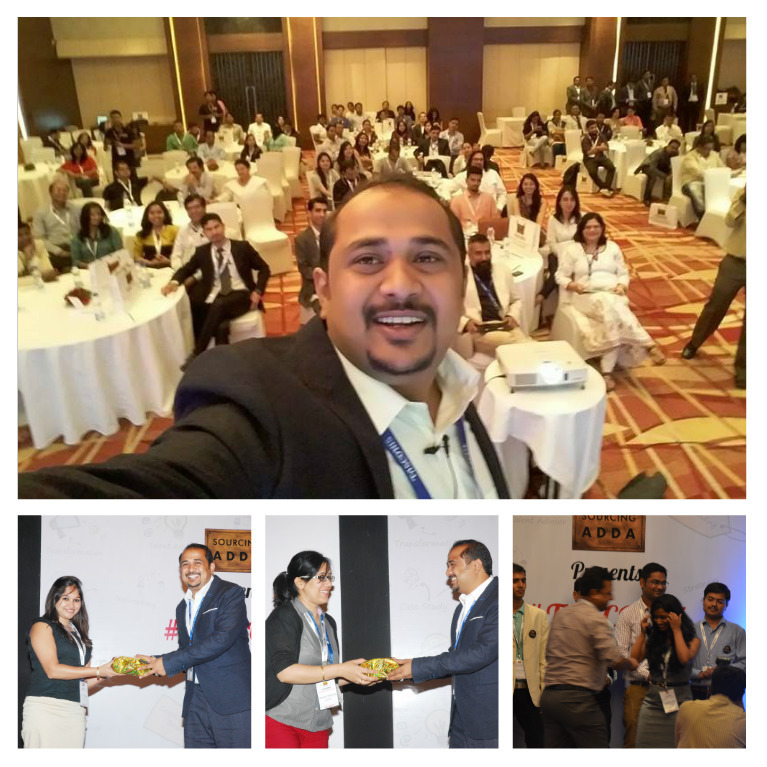 A Lucky Draw wherein a Lucky winner would receive a free SourcePRO Talent Sourcing Training & Certification Program. To get listed for the lucky draw all our Speakers and delegates were asked to drop in their visiting cards into the 2 drop in boxes at the registration desk. If registered today (15th– Apr – 2015) you would receive a 10% discount on the SourcePRO Talent Sourcing Training & Certification Program. They also had a test for Talent Acquisition Professionals to challenge themselves on their Sourcing Knowledge and if they were able to get all the answers right they received a white badge. WhatsApp Group Chat – What are the best websites to find Technical IT people? The WhatsApp Group Chat that was held this week was quite informative as we received interesting insights that we as Recruiters and Sourcers haven’t thought of before while hiring. Having said that, you’re probably wondering what I’m talking about therefore I’ll come right to the point. The discussion was about what are the best websites to find Technical IT people (developers or programmers) besides job portals and LinkedIn? Here’s what came up during this interesting discussion… Well there you have it all the resources at your disposal that you can make use of to your advantage and meet the rate of hires that is required. Now tell me, did you ever come across such alternatives? Well you can now so why not implement them in your strategy and boost your performance overall. Do you have any to add? Do tell and we’ll be glad to include them in our next post. Sarang mentioned he was a classical singer and that he liked back benchers, so they had to beware as he would ask them questions for sure. Here the audience was asked to mention any tricks used by them to reduce vendor dependency? Wherein Yusuf mentioned that he conducted a mapping and headhunting Sourcing from the Internet database. 1. Name the 1st Software Company in the world. a.Founded by John W. Sheldon and Kubie, E.C. 2. Which are the big 4 Consulting Companies in the world? 3.Name the Top 4 IT Companies in India.